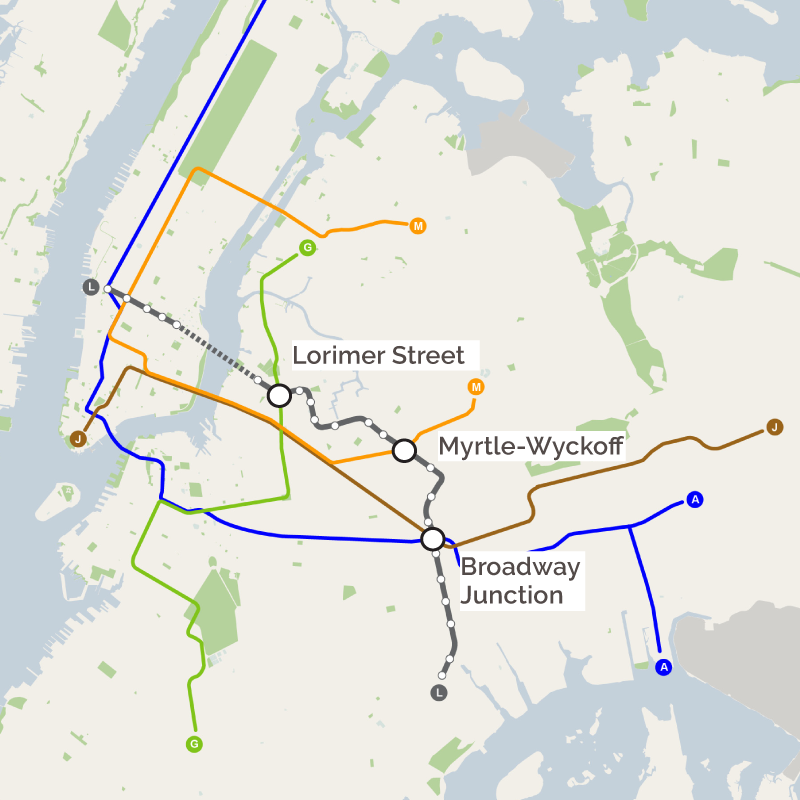 The L train is one of the busiest subway lines connecting Brooklyn and Manhattan in New York City. Due to extensive flooding damage caused by 2012's Hurricane Sandy, the Canarsie Tunnel, which connects Brooklyn and Manhattan under the East River, will be shut for repairs for a period of 18 months, starting in early 2019. 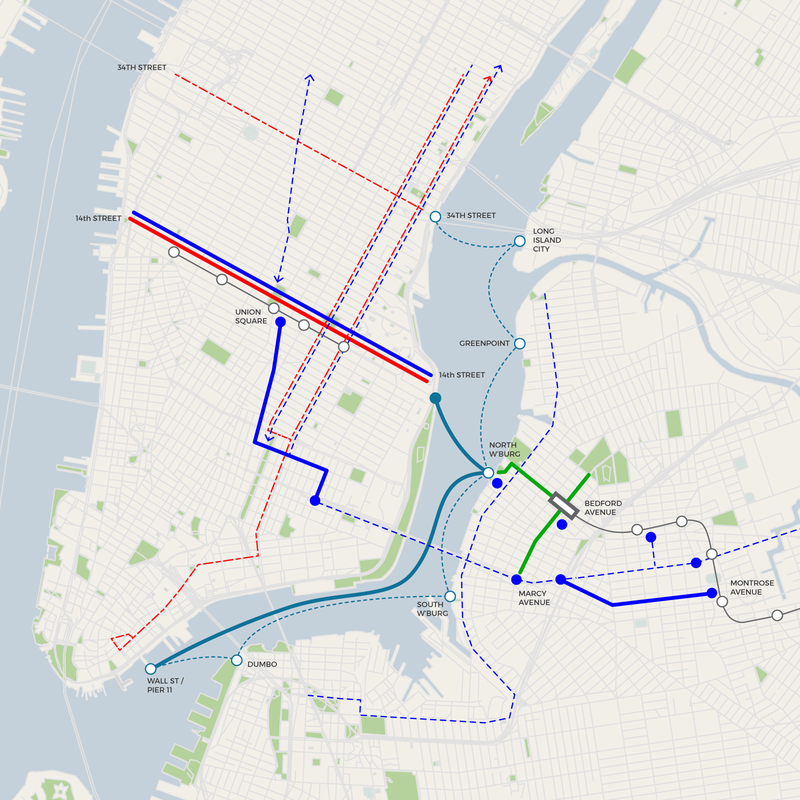 This proposal considers this imminent shutdown as a unique opportunity, one that forces the implementation of viable transportation alternatives for commuters between Brooklyn and Manhattan. The MTA’s standard solution to suspended service is often to provide shuttle buses between stops, but this alone is not a viable answer to get 30,000 weekday riders across the East River. 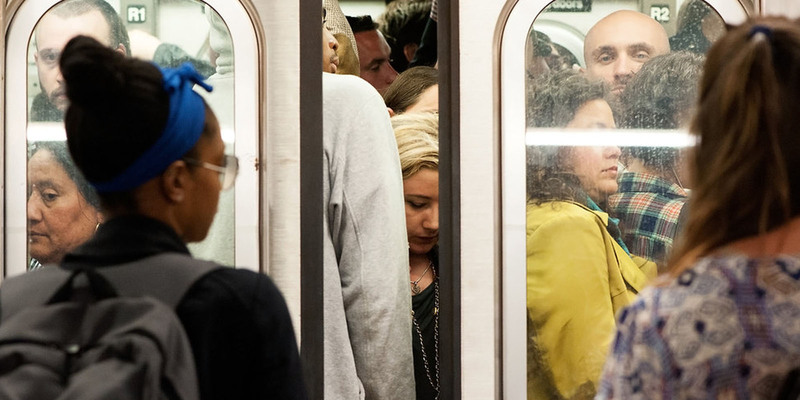 To begin with, service along subway lines connecting Brooklyn and Manhattan should be increased. This would include the J, M, and A lines. In addition, the G line, which runs through Brooklyn and Queens, will also need to cater for a greater number of commuters. 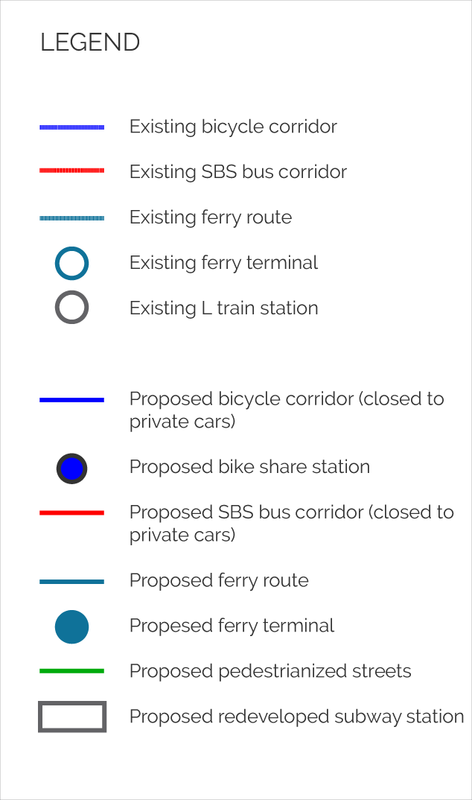 A new express ferry service could ship commuters directly across the water from Williamsburg to midtown, bypassing current stops further north in Queens.. With reasons stronger than ever before, 14th Street could be closed to traffic, with dedicated bus and bicycle lanes. Express ferries could also link up with the existing terminal at 34th Street, and the M34-SBS. 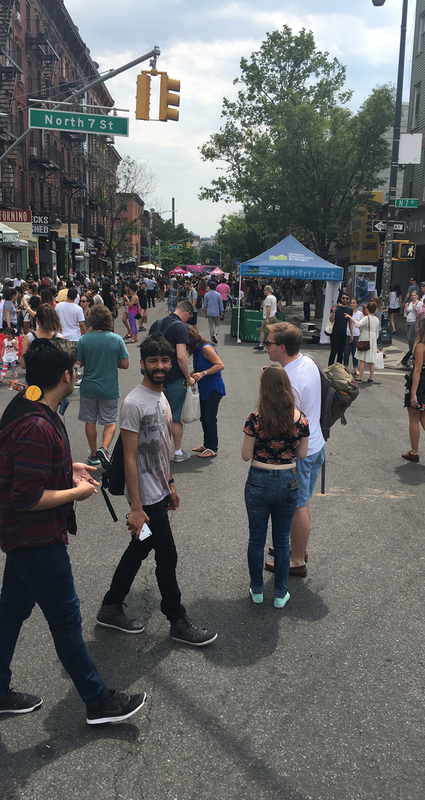 The shutdown is a great opportunity to redefine the area around Bedford Avenue, which is the heart of an ever-growing Williamsburg neighborhood. An improved, safer, and more gracious station could lead up to car-free pedestrianized streets. 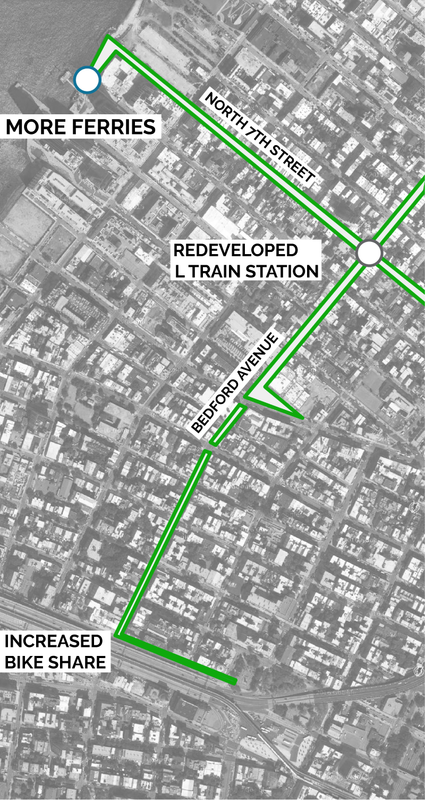 Bedford Avenue connects the Williamsburg Bridge to McCarren Park, by way of the station, and North 7th Street leads directly down to the waterfront, where your ferry awaits.